Course Website: Official Website - Visit The Course at Yale's official website by clicking on the link provided. Accolades: Ranked 1st in Connecticut on Golf Course Gurus' Best in State list. What to Expect: The first thing I asked myself when walking off this course was, "How in the world does this course not make Golf Digest's Top 100 list?" The course at Yale exceeded my expectations and had some of the most interesting and memorable holes I've played. In typical Macdonald/Raynor fashion the course starts off with a bang and features some of the course's best holes right off the bat. Not only is Yale the best university golf course in the country, it is just flat out one of the best golf courses in the country period. The biarritz 9th hole is world class in every sense of the word and the green complexes are flat out awesome. 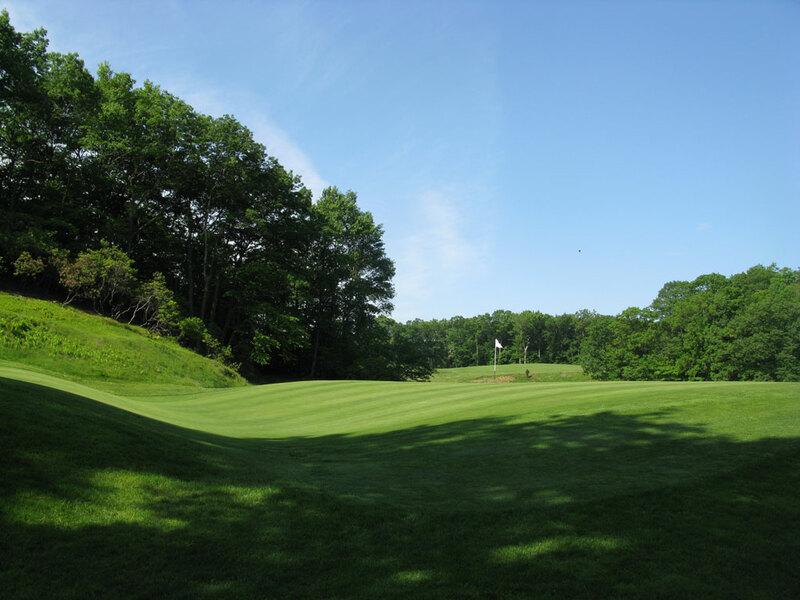 At Yale you can expect tons of elevation changes, huge and undulated greens, blind shots, and a ton of FUN! Signature Hole: 9th Hole – 213 Yard Par 3 – (Biarritz) - The most famous biarritz green in golf has to be the amazing and challenging 9th hole at Yale. The swell in the middle of the green is massive and the back half of the green slopes hard from right to left, making a back right pin location a brute to get to. 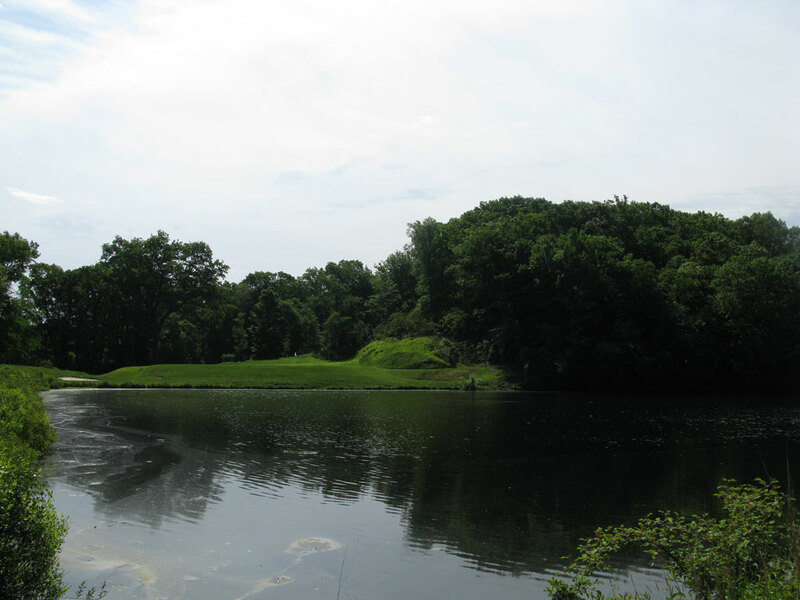 Best Par 3: 9th Hole – 213 Yards – (Biarritz) - One of the best par 3s the Gurus have ever played, the 9th at Yale starts with a forced carry over the water and finishes to an extreme biarritz green that is challenging and a ton of fun to play. While it may not be as famous as Pebble's 7th or Cypress' 16th, it is just as memorable. Best Par 4: 3rd Hole – 411 Yards – (Blind) - This hole was one of my favorites from our trip back east. A demanding tee shot is required and there is a large pond on the right. The closer to the pond you get the better the angle you'll have with your blind approach shot to a green that slopes to the right. The longer you drive the ball the narrower the fairway gets while a huge drive can catch the fairway bunker about 80 yards from the green. 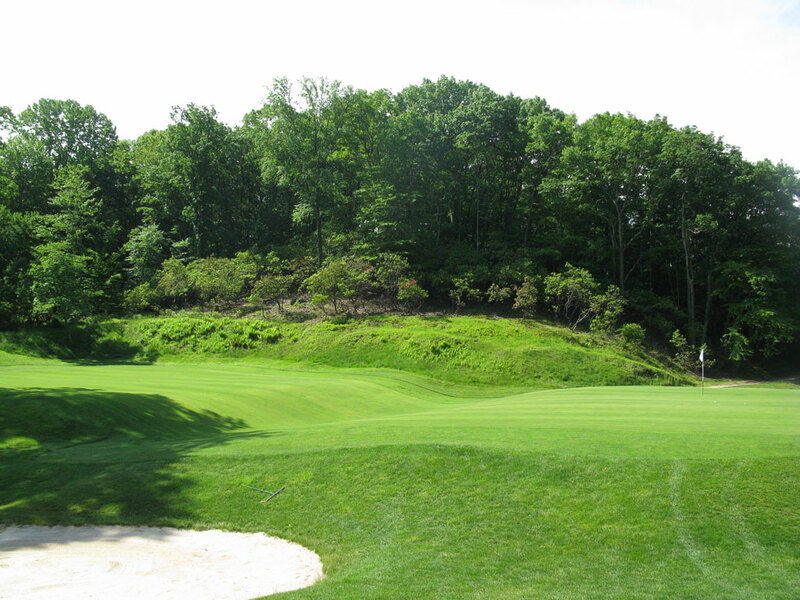 Best Par 5: 18th Hole – 621 Yards – (Home) - One of our playing partners while at Yale was a great guy named Mark Beebe. At least a half a dozen times during the round he said, "Yale is the best 17 hole course you'll ever play." That is a tall order considering Cypress Point gets that same title hung on it all the time. But just like Cypress Point, the Gurus are completely fine with the 18th hole at Yale. 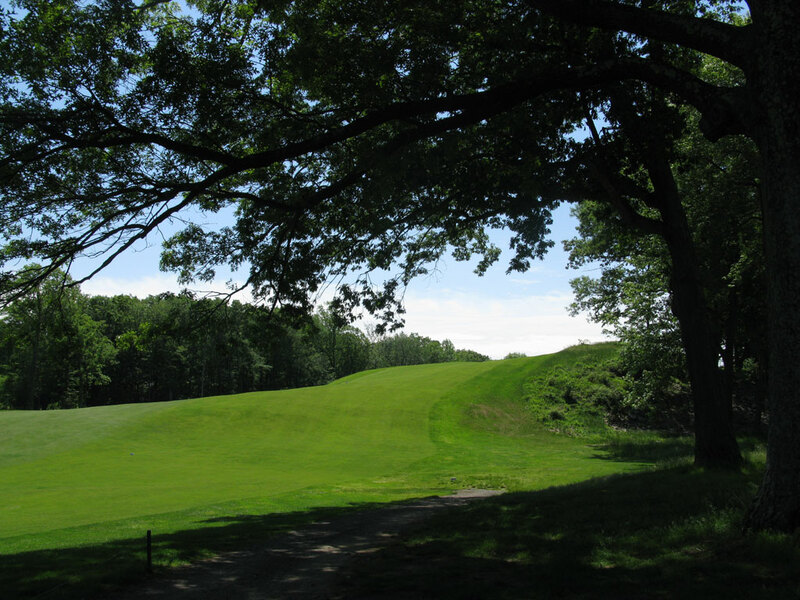 The hole plays over a hill, around a hill, over a hill, and downhill to a green. If you couldn't tell, the hole is pretty hilly. The second half of the fairway features a bunker in the middle that splits the short grass into separate fairways which come back together down the hill to the green. 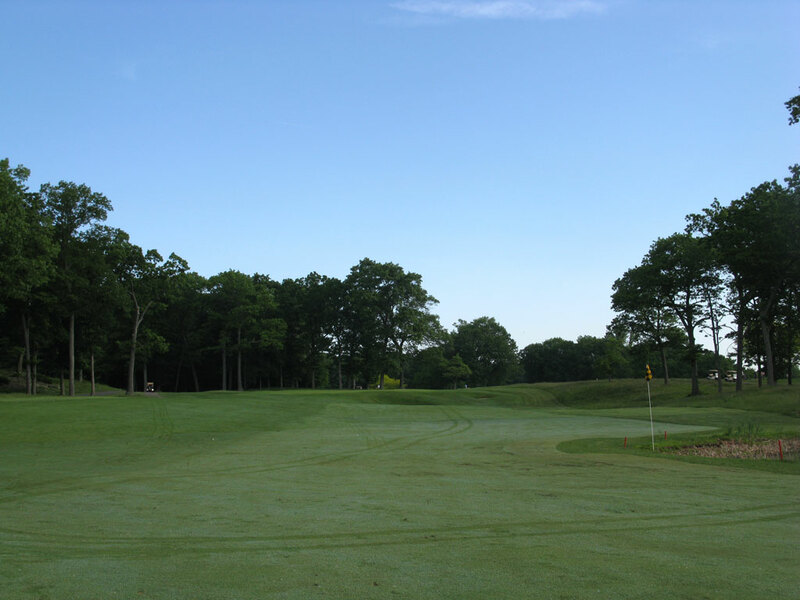 Birdie Time: 5th Hole – 147 Yard Par 3 – (Short) - A perfect lie, a short iron or wedge in your hand, and a relatively flat green are all excellent factors that play in your favor for carding a birdie at the par three 5th hole. If you miss the green you will likely find yourself in one of the bunkers that encircles the green and sits ten feet below the putting surface. 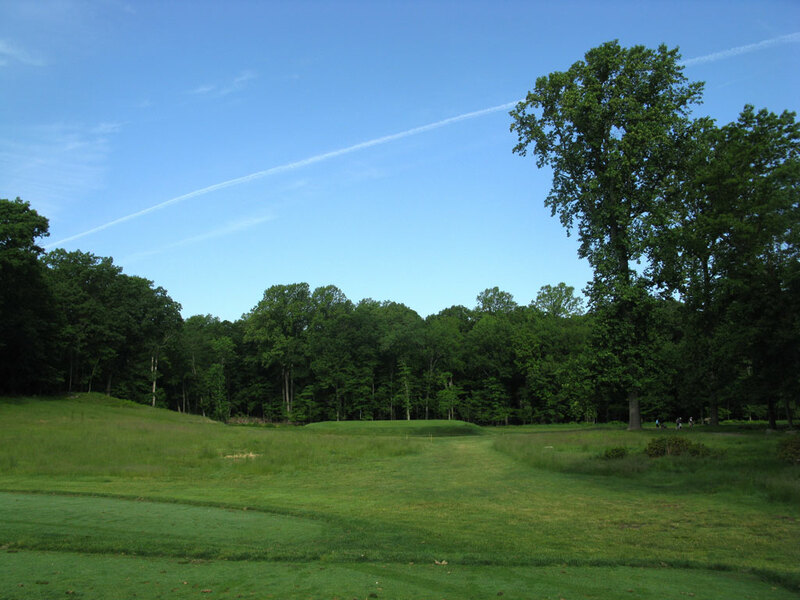 Bogey Beware: 4th Hole – 437 Yard Par 4 – (Road) and 10th - 396 Yard Par 4 (Carries) - There are plenty of opportunities to bogey while at Yale but the 4th and 10th holes are neck and neck for two of the most difficult holes in the region. The 4th has quite famously made several lists as an extremely difficult hole with Tommy Armour and Ben Crenshaw adding their stamp of approval on its difficulty as well. 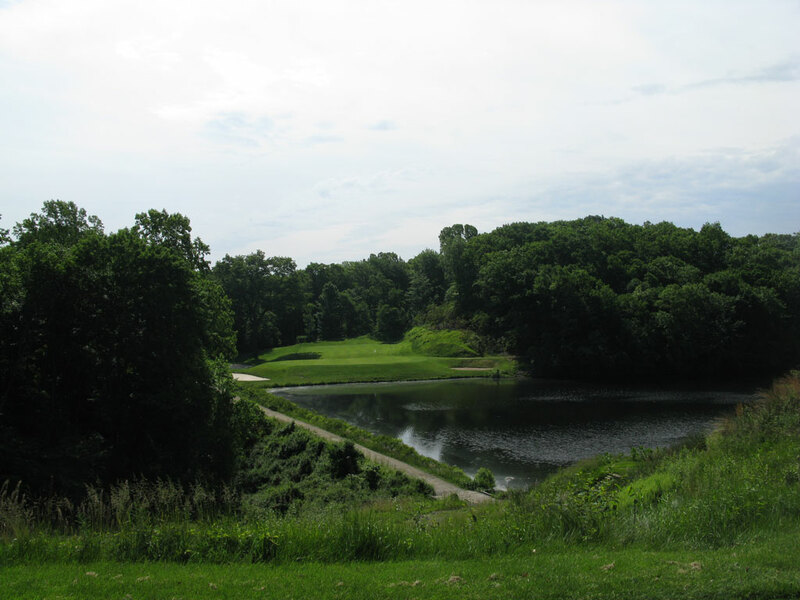 The 4th hole requires a 150 yard carry over the water to a fairway that is encrouched by additional water in the landing zone on the right. The longish approach then plays uphill to the green. 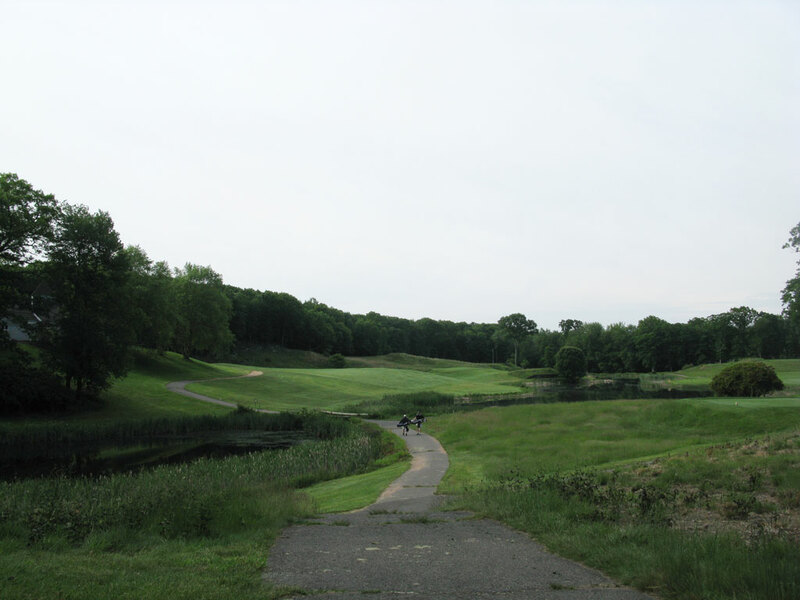 The 10th hole is extremely undulated and requires a big tee shot to a raised fairway. If you carry it long enough you'll be down in the valley looking 40 feet up to the green site, leave it short though and you'll be on the down slope of the fairway with virtually no chance of hitting it high enough to catch the two tiered green. Tough stuff!